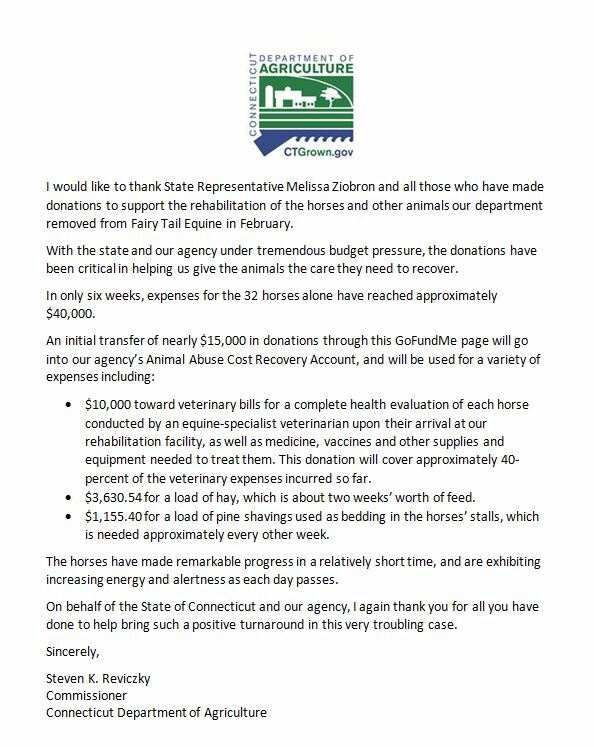 Those wishing to donate to the care and feeding of the animals may make a contribution to the department’s Animal Abuse Cost Recovery Account. 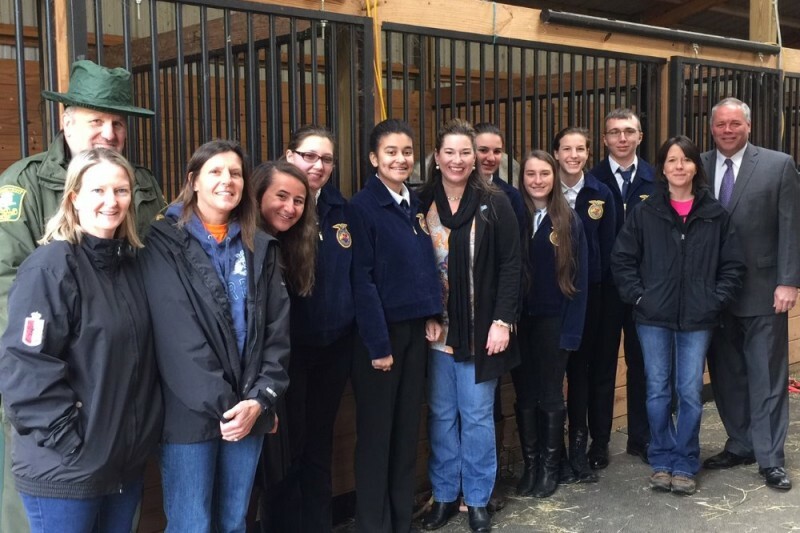 Donations to the fund will be used to purchase hay, grain, bedding, veterinary services for the horses. 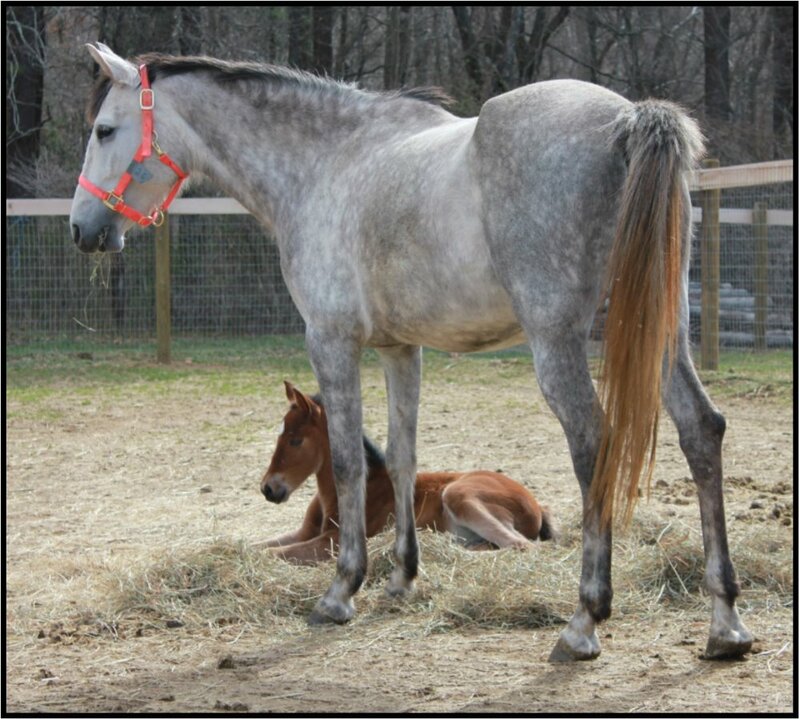 One of the foals born at the facility! I again apologize for not being able to individually answer all the emails and calls I have been getting, but please understand that we have received literally hundreds of inquiries. To those who have already submitted bids, thank you. I will respond to each of you next week so that you know I received your application. As far as bidding, many people have asked if they should put all of their funds on a bid for one horse, or “split” their bids in case their first choice goes to another bidder. Given the number of bids received in just the first few days, it appears certain that we will have many more bids than we have horses. And since we’d like to accommodate as many bidders as possible, it seems very likely that each successful bidder will be limited to one horse, or at most two in rare circumstances. My informal advice for bidders in this situation would be to note on the application how much they would bid for a single horse, and to list their preferences in order. 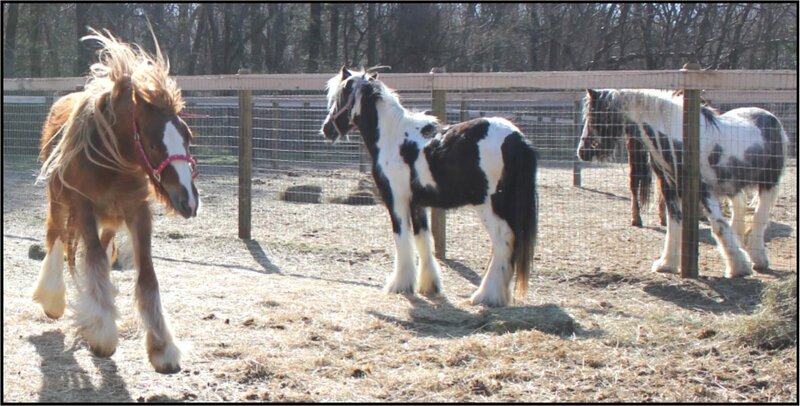 · It is not possible to see the horses in person during the bidding process. · Out-of-state bidders are welcome. · Successful bidders will be notified by phone and/or email, and payment arrangements will be made on an individual basis. ·Once bids close on June 1, there is no set deadline for bidders to pick up their horse(s). We will make reasonable individual arrangements as needed, and have no objection to the use of professional haulers. ·All registration, veterinary and other records we have will be transferred to the new owners upon sale. ·I plan to add information on the horses’ training and temperament and to the spreadsheet next week. ·I will have more information next week on the treatment and condition of the horses with Lyme. ·Lataro is being examined by a veterinarian next week and I will have more information on his condition then. ·Jana’s tendon injury is not considered serious and should heal with a few months of stall rest. Your donations are at work and so appreciated! There is still a lot going on behind the scenes---the Attorney General is verifying ownership claims for some of the horses, continuing veterinarian care, criminal proceedings with the former owners, increasing food quantity for some of the horses, training additional inmates to care for the horses, and more. 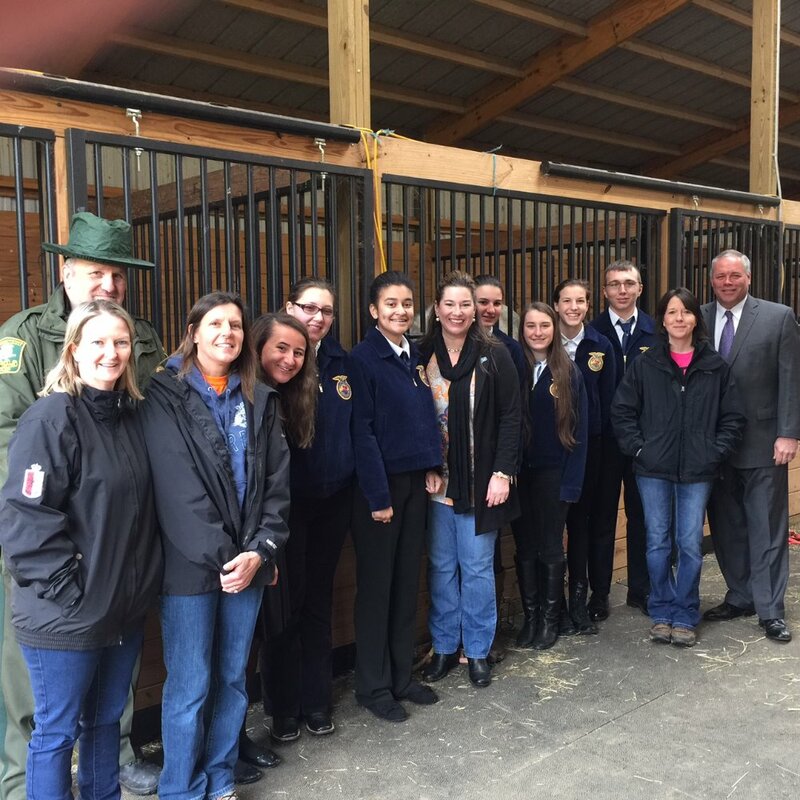 The DoAg and I are also in discussion about holding a "THANK YOU" event for the donors to this fund, including Nathan Hale-Ray FFA students. Stay tuned and thank you for your continued generosity and support. 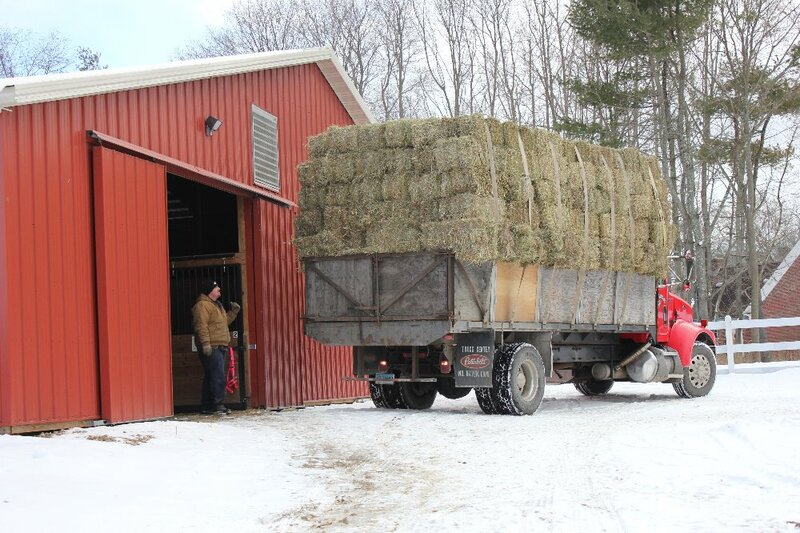 A load of hay---your donations at work! Thank You letter and info! Thank you for helping those abused animals. God bless you! Glad to see they are getting better and that the donations are helping. So glad these horses are getting the care that they need. Thank you!